οὕτως γὰρ ἠγάπησεν ὁ θεὸς τὸν κόσμον, ὥστε τὸν υἱὸν τὸν μονογενῆ ἔδωκεν, ἵνα πᾶς ὁ πιστεύων_ εἰς αὐτὸν μὴ ἀπόληται ἀλλ' ἔχῃ ζωὴν αἰώνιον. “For God so loved the world that God gave God’s only Child, so that everyone who believes in that Child may not perish but may have eternal life.” This is John 3:16 in The New Testament and Psalms: An Inclusive Version. This version, published in 1995 by Oxford University Press, gets rid of masculine pronouns and generic masculine usages. Not content to stop there, they also decided to make the Bible accessible to left-handed people by replacing right-handed imagery; “God’s right hand” becomes “God’s mighty hand.” Finally, a Bible that I can appreciate as a left-handed woman! The Inclusive Version is not alone; Today’s New International Version also uses inclusive language, changing addresses to audiences from male to generic, although it still refers to God and Jesus with male pronouns where it is too awkward to change it (although there are some places where the masculine reference to God is left out). Fortunately, this has recently been withdrawn (see Ligon Duncan’s account). CMI takes the view, also expressed in the Chicago Statement on Biblical Inerrancy, that the Bible is inspired and inerrant in the autographs (the original texts of the various books). While we do not have access to those original copies, we do have lots of copies of copies of those original texts. Through textual criticism (also known as “lower criticism”) Bible scholars can analyze the minor variations in these copies to discover which variant was original. These efforts result in texts such as the Nestle–Aland and United Bible Society Greek New Testaments, which combine the most reliable variants from the manuscripts to give us the closest possible match to the original text. The challenge for the translator is to take this text from the original languages and communicate its message in the language into which the text is translated. The challenge for the translator is to take this text from the original languages and communicate its message in the receptor language (the language into which the text is translated). While the translation is not inerrant, the nature of the message of Scripture is such that it can be communicated well in any language, and so a competent translation of Scripture can be regarded as the Word of God. There are two dominant theories that various translators use. The first is that of formal equivalence, which states that every word in the original language has an analogous word in the receptor language. So the translator goes word-by-word translating each word into the English (or other language) equivalent. No translator can follow a pure formal equivalence translation technique, because the result would be unintelligible due to the differences between the grammars of the Greek and Hebrew and those of the various languages into which the biblical texts are translated. But translators which follow this theory will reproduce the text as literally as it is possible to do in the receptor language. More ‘literal’ English translations such as the NASB and, to a slightly lesser extent, the NIV follow this translation theory. The second theory is dynamic equivalence, which argues that meaning is not encoded at the word level, but at the clause level. The dynamic equivalence translator would analyze the text at the level of the clause, and would try to convey the meaning of the clause faithfully in the receptor language without any attempt to preserve the grammatical constructions of the Greek. This often results in a more “natural” feel in the translation, which is especially useful for people who are being introduced to Scripture for the first time. While this theory is often maligned as being untrue to Scripture, all translators use dynamic equivalence to some extent. Even the King James Version does this, translating μὴ γένοιτο (mē genoito) as “God forbid” (as in Romans 6:2). The most literal translation of the phrase in intelligible English would be “May it never be”. Just as no faithful translation of Scripture completely follows the formal equivalence theory, no faithful translation of Scripture purely follows the dynamic equivalence theory; all the dynamic equivalence translations give weight to the original words, and are usually quite literal when the text is plain. This is why many verses in the dynamic equivalence translations are very much like those that are shaped by the formal equivalence theory. The New Living Translation is an example of this sort of translation, though parts of it are on the verge of paraphrase. Paraphrases like The Message take the idea of dynamic equivalence further than those that can be legitimately called translations. Paraphrases are much freer with adding words to explain ideas, changing imagery, and updating figures of speech. As such, they can be good for understanding the ideas behind Scripture, but should not be the Christian’s sole, or even primary, Bible, because the original words and ideas can be distorted. 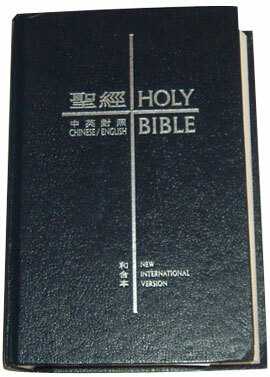 What’s the difference with politically correct translations? The goal with all translation should be to convey the message of the original as clearly as possible in the receptor language. The politically correct translations take an unacceptable step further in that they seek to make the text inoffensive as well as understandable. But parts of Scripture’s messages are offensive to every culture; the ideas of a Crucified Messiah and a bodily resurrection would be offensive to the first-century cultures to whom the Gospel message was first preached, yet these are precisely the points that are most boldly proclaimed. In the first-century culture, the place of a son and the place of a daughter were very different; a daughter did not have the same rights of inheritance that a son had. … The point of [Gal. 3:26] is that women are counted as ‘sons’; in Christ men and women receive an inheritance without distinction. This absurd preoccupation with removing ‘offensive’ language and imagery from Scripture results in a text that ranges from awkward reading at best, to a distortion of the message of Scripture at worst. For an example of the former, one only has to look at the above quote of the Inclusive Version’s translation of John 3:16. God is repeated three times in a very short space, reminding everyone why pronouns were invented in the first place, and practically screaming that the translators were straining to avoid using a male pronoun for God. That sentence shouldn’t receive a passing grade in an elementary English Composition course, let alone inclusion in a published translation of the Bible. The Inclusive Version’s translation of John 3:16 also gives an example of a distortion of Scripture when Jesus is called God’s “Child” and not “Son”. First, the word used is simply not “Child”. There are a couple of perfectly acceptable words for “Child” in Greek that could have been used, if that is what Jesus had wanted to say. But the word used is υίός (huios), which unambiguously means “Son”. Second, Christians recognize Jesus as God the Son, not “God the Child”. Third, Jesus was incarnated as an actual male human being. This is not peripheral; the relational maleness of God is taught throughout Scripture. There are places where “brothers” mean “brothers and sisters” or “sons” means “sons and daughters,” and a responsible translator could justifiably bring out that nuance in a translation. But this must be done carefully, because sometimes this changes the meaning of the text, in which case the more literal approach should be adopted. For instance, Galatians 3:26 says, “You are all sons of God through faith in Jesus Christ.” Since there are undoubtedly women included in that audience, some translators would prefer “children” (the approach the TNIV takes) as a more inclusive term. But I would argue that an important point is lost. In the first-century culture, the place of a son and the place of a daughter were very different; a daughter did not have the same rights of inheritance that a son had. I would argue that even women are being called “sons” here, and this is strengthened by the text that immediately follows, which breaks down race, class, and gender distinctions in Christ and calls all Christians heirs. The point of this text is that women are counted as “sons”; in Christ men and women receive an inheritance without distinction. Should Scripture be “dumbed down”? Rather than distorting the teaching and beauty of Scripture with awkward translations which only those with wooden ears could appreciate, understanding more about the Bible’s culture is the answer to those who feel alienated by so-called ‘patriarchal’ texts. There are places, of course, where the generic masculine is used in hypothetical situations that may apply to either men or women, and in some of these places, it is acceptable theologically to bring that out by saying “he or she” or something like that. But if every instance were to be qualified in this way it would result in some very awkward phrasing, and it would add an additional layer of interpretation between the reader and the original text, where the goal of translation should be to get the reader as close as possible to the message of the original text as is possible in their language, and to let them draw their own conclusions about whether the text means “he or she” or simply “he” (and there are numerous cases where it could be either). While Scripture is just as authoritative and applicable today as it was when the various books were penned, each book was written within a specific cultural context. Part of that context is what might today be called “patriarchy” by feminists, although the Bible’s teaching is very pro-female. Rather than distorting the teaching and beauty of Scripture with awkward translations which only those with wooden ears could appreciate, understanding more about the Bible’s culture is the answer to those who feel alienated by so-called ‘patriarchal’ texts. London Times reports that the Bible is not anti-female: is this news?